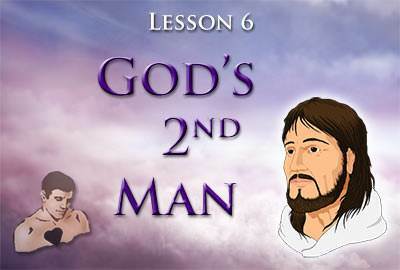 God created the first man, Adam, because He wanted a race of people who would glorify Him, but Adam rebelled against God. In our last lesson we saw the terrible results of Adam's disobedience. 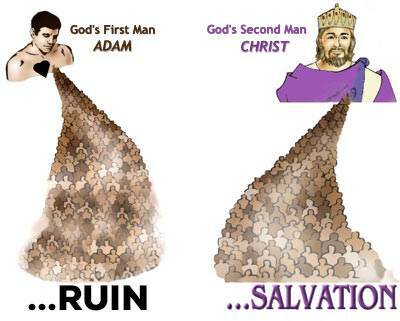 Not only did Adam become a sinner himself, but he also produced a race of sinners. Instead of having God's life within them, men became separated from God because of sin. Instead of having God's nature, men became sinful and self-centered. 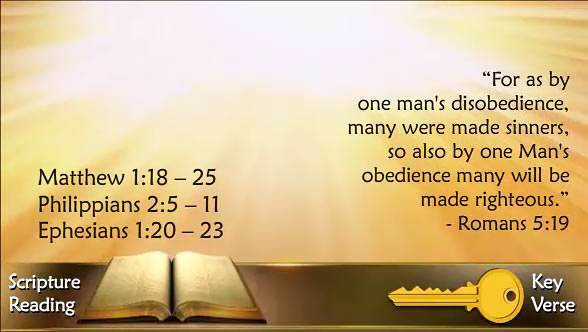 Instead of ruling over the earth, men became slaves of sin and Satan. How could this race of sinful men glorify God and fulfill His purpose? The answer is: It could not. God loved us and He wanted to save us. To make our salvation possible, God would send His own Son into the world. He would die for the sins of all men. Then He would rise again to become the Head of a new race—the children of God. By His death and resurrection, the Lord Jesus would make it possible for us to get out of Adam's sinful race and to become the children of God. Now let's see how God did this. The One who created man became a Man Himself. This is truly a great mystery. An even greater mystery is the means by which God became a human being. The first man, Adam, was created as a full-grown man, but the second Man, Jesus Christ, entered the human race as a tiny baby. 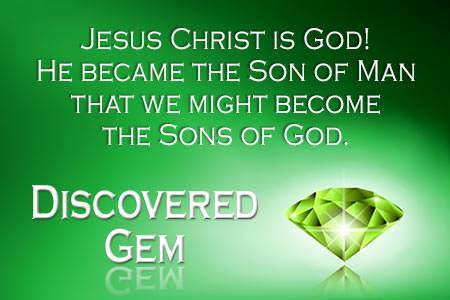 Why did the Son of God come to this earth as a man? For two very important reasons. 2. He came to make a way for us to get out of Adam's sinful race and into the family of God. This is what it means to be saved. 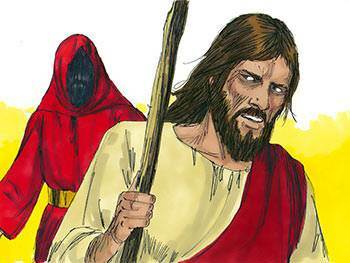 Why did Satan tempt Jesus? His purpose was to get Jesus to disobey God. Three times Satan tempted Jesus to act in self-will. Three times Jesus refused to do so. Satan was defeated! 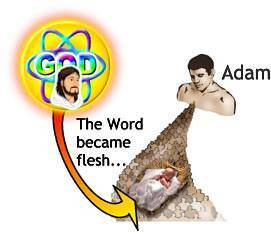 The first man, Adam, was conquered by Satan because he disobeyed God. The second Man, Christ, was triumphant over Satan because He obeyed God. Because He had learned to obey His Father in all things, He was prepared for the final and greatest test, that of the cross. The Lord Jesus was taken into the court of the Roman governor, Pilate. There He was stripped and beaten with a whip made of hundreds of leather thongs, each of which contained a piece of sharp metal or bone at its tip to cut into the flesh. He was mocked and spit upon. His face was marred as no man's face had ever been marred. A crown of thorns was mockingly placed on His head. He was given a cross to bear to Calvary, the place of His execution. At Calvary Satan did his utmost to cause Jesus to do something that would keep Him from being a perfect Saviour. But, in spite of all that Satan did, Jesus continued to love God with all His heart. He continued to trust His Father. He continued to love His fellow man. He refused to pity Himself. He would not save Himself. He was obedient unto death, even the death of the cross. The body in which the Lord Jesus had lived for thirty-three years was taken down from the cross, tenderly wrapped in grave clothes, and placed in the tomb of a rich man. For three days and three nights, His body lay in the tomb. Then something miraculous happened. 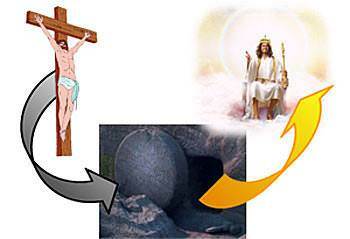 Jesus was raised from the dead by the mighty power of God! 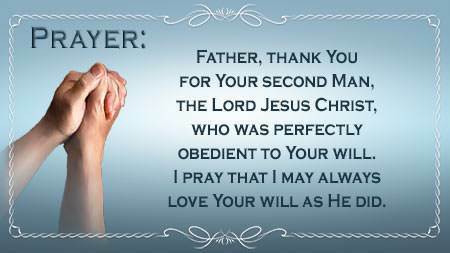 God's second Man had been obedient to His Father in all things. Death could not hold Him. 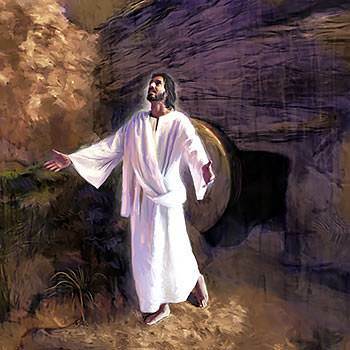 He rose from the grave—the Victor forever over sin, death, and Satan. 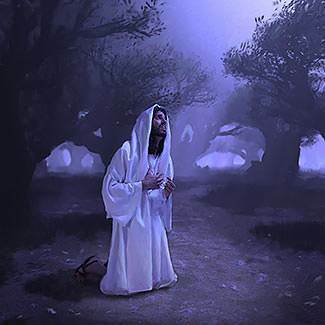 The Lord Jesus appeared to His disciples in His resurrected body and showed them the nail prints in His hands and the mark of the spear in His side. The death and resurrection of Jesus Christ are the most important events in the history of the universe. 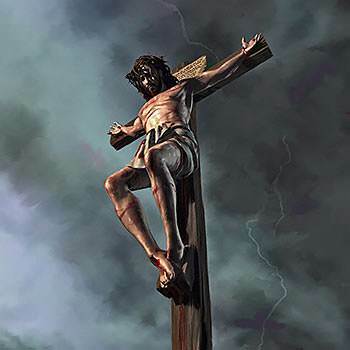 The Cross of Jesus Christ is God's master plan for dealing with the sinful human race and with Satan and his rebellious hosts of fallen angels. 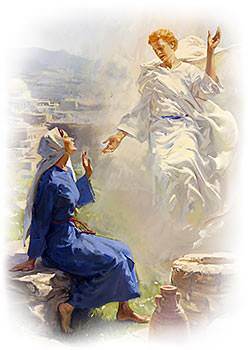 As they beheld Him, the Lord Jesus was taken up from them and a cloud received Him out of their sight. 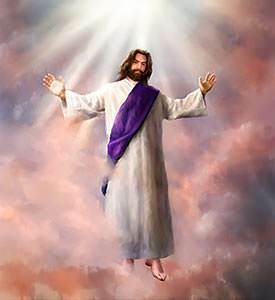 In His glorified, resurrected body, the Lord Jesus left the earth and, passing through the clouds, He went back into Heaven. God the Father has not only made Jesus Christ to be Lord of all, but He has also made Him to be the Head of a new family. This new family is called the children of God. Now there are two families in the world. Each of these families has a head. 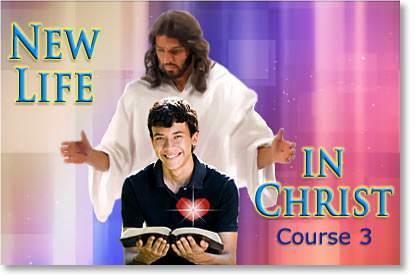 Adam is the head of the sinful family which he produced and Jesus Christ is the Head of the new family called the children of God. Each one of us when we were born, became a member of Adam's sinful race. But now, by His death and resurrection, the Lord Jesus Christ has made it possible for us to be born again spiritually and to become the children of God.